Westgate Park City Resort and Spa offers luxurious accommodations with ski-in / ski-out capability. All units include a full kitchen. The one and two-bedroom villas include a master bedroom and bath, fireplace, jacuzzi tub, and private balcony. Some unit types offer a washer and dryer to make your stay more convenient. Situated amidst aspens and pines 8,200 feet high in the Wasatch Mountains at Deer Valley Resort in Park City, Utah, Stein Eriksen Lodge is the ultimate year-round luxury destination. Catering to the needs of each guest, the Lodge provides unmatched attention to detail and guest service. Nestled amidst aspens and pines mid-mountain at Deer Valley Resort, 5 minutes from Park City Main Street, 45 minutes from Salt Lake International Airport. The only luxury hotel situated in the heart of Park City, Utah, Hotel Park City offers year round, world class oversized accommodations. Located 35 minutes from Salt Lake City International Airport, Hotel Park City is edged in native Pines and Aspens on the spectacular Park City Golf Club at the base of the Park City Mountain Ski Resort. This 100 all-suite resort features elegant dining in Ruth�s Chris Steak House, a world class spa, Nordic skiing, Three Alpine ski resorts within five minutes, complimentary ski shuttle during winter, and heated outdoor pool/spa with breathtaking views. 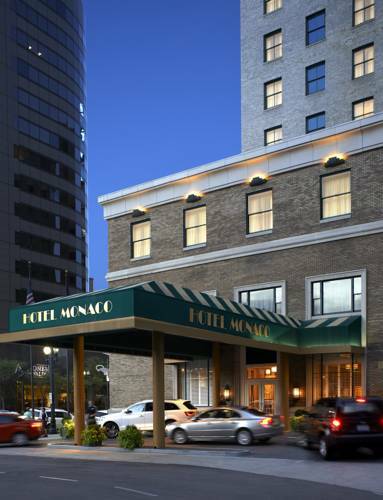 Hotel Monaco invites you to indulge in guilty pleasures in the heart of downtown Salt Lake City. Savvy service, a hip vibe, and unbeatable location make Hotel Monaco legendary among Salt Lake hotels. Our historic building adds unique character to the modern comforts that greet you in the center of the city. The 225 rooms and suites enliven guests senses with plush robes exclusive bath products and luxurious pillow top beds. Tall rooms with eight-foot beds and raised showerheads are available upon request.